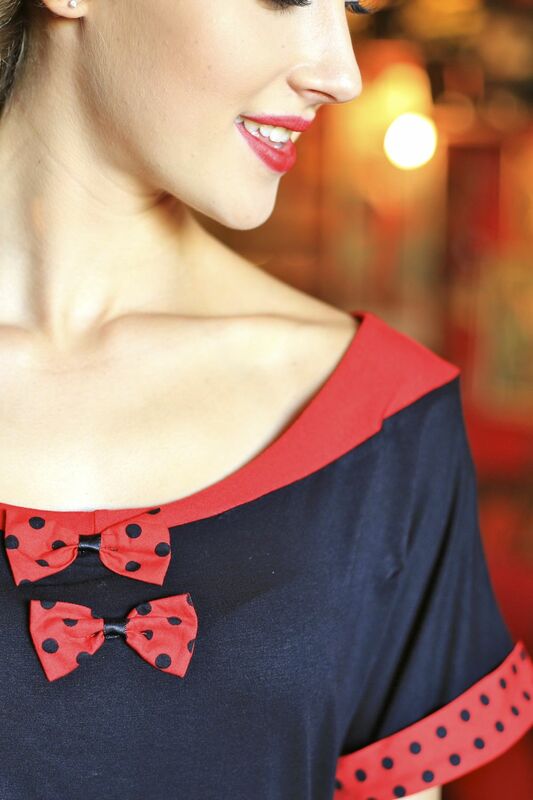 Sweet and adorable top with girlie polka dot bow details. This top is made from soft Fabric and has a relaxed fit, looks pretty tucked into our A-line skirts or worn with cut off 50’s style jeans. 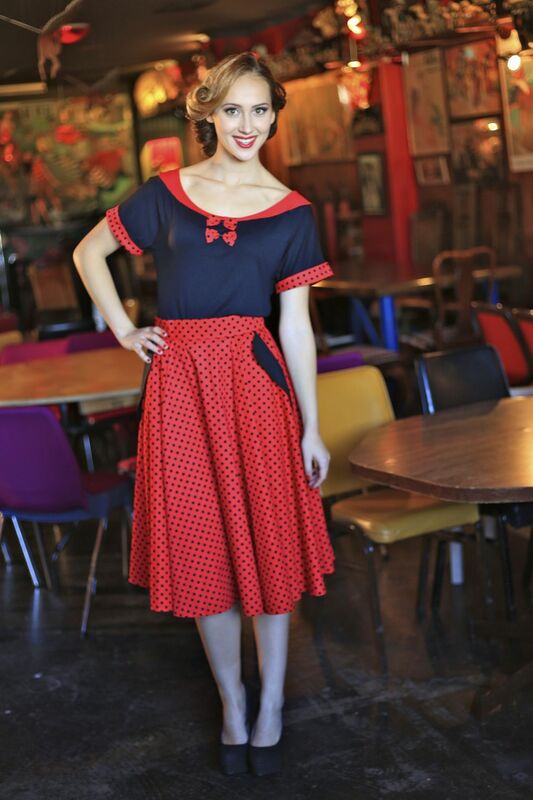 Black with Red and Black polka dot.